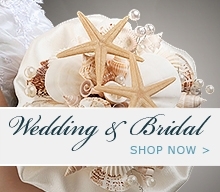 Your one stop shopping source for all your Kate Aspen Wedding and Baby Shower Favours. Just how sweet can a baby bee? Sweet as honey, as you can see!Bee-hold a honey of a favor that's perfect for celebrating the newbaby. Bee-sides its practicality, this ceramic honey pot is bee-yondcute, and it simply bee-longs at the baby shower! A tiny "tea house" to welcome home a tiny treasure! So clever of Kate Aspen designers to home in on the warmth and comfort of family and the happy dwelling they share. Remind your baby shower guests beautifully that, now, it's tea for three! These frosted picture coasters are a great favor for your guests to add your bridal picture or your guests favorate picture.